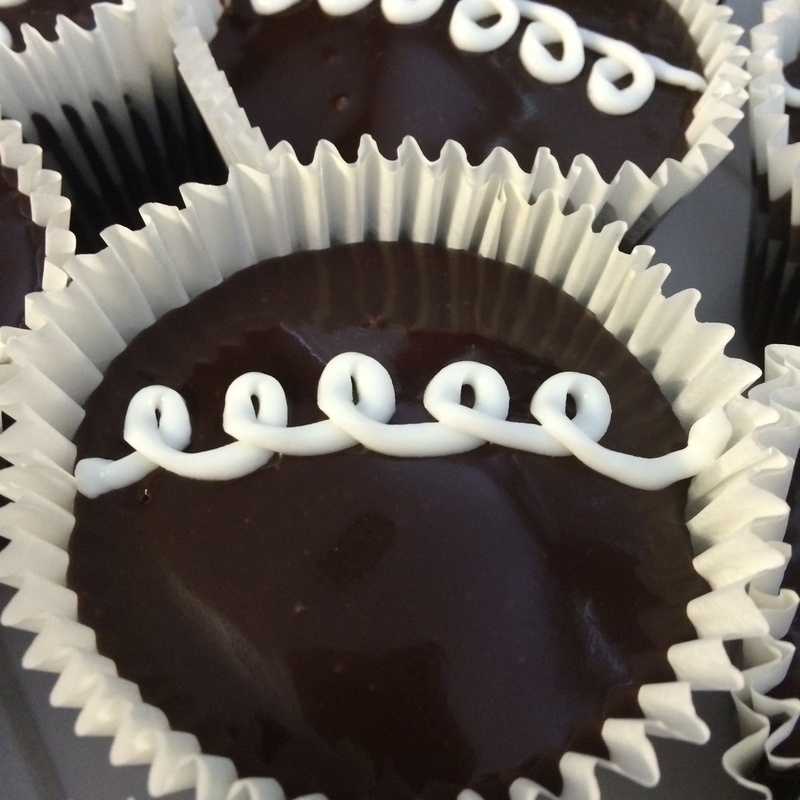 A couple weeks ago I made these awesome hostess copycat cupcakes. 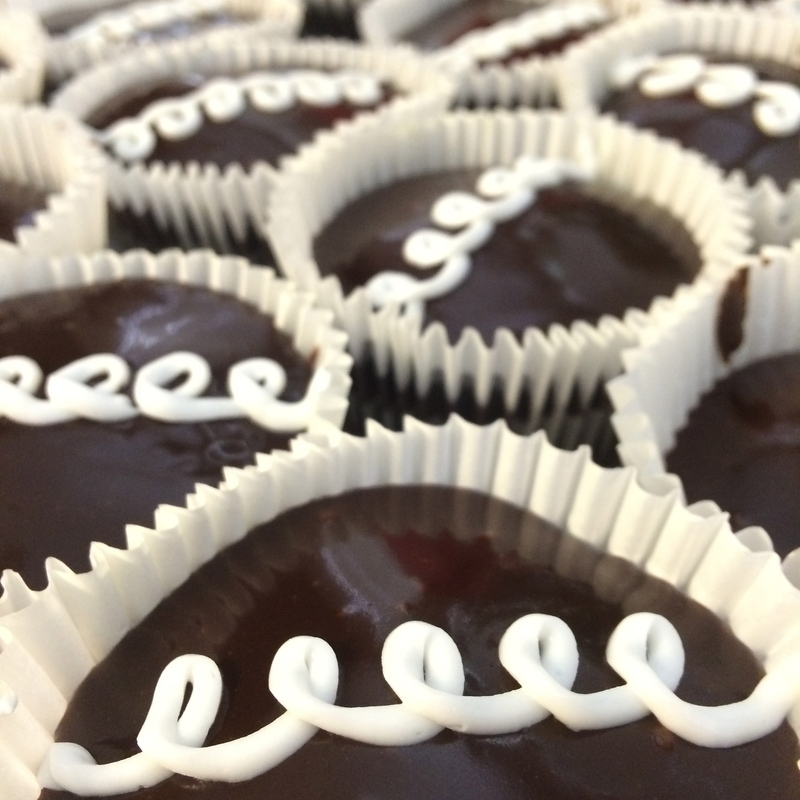 They’re chocolate cake with cream filling, chocolate ganache, and cute little loops on top. I used my good ol’ faithful pastry pride for the filling. I made the ganache with Nestle Tollhouse milk chocolate chips and cream. 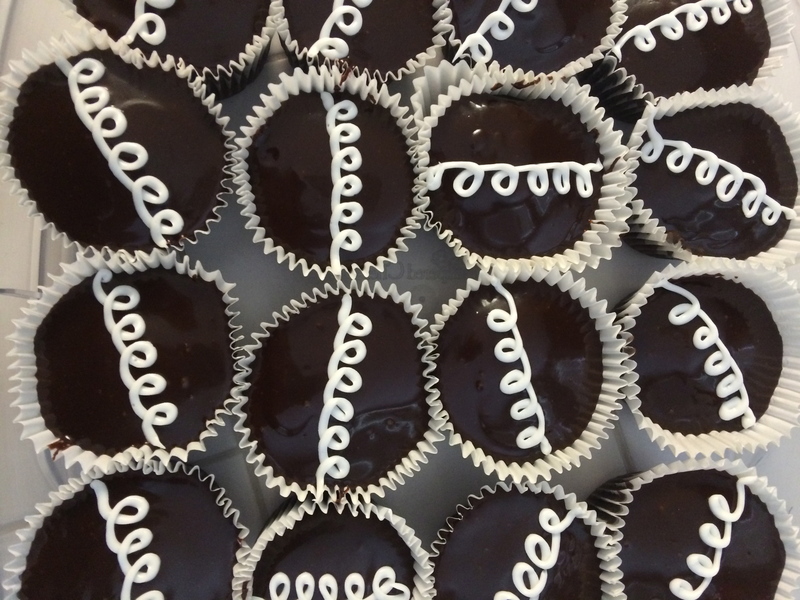 When making the ganache, I recommend finding a chocolate that you really like because that’s what the flavor will come from. Put it all in a sauce pan over low heat and add a little bit of cream. I know, lack of measurements is probably not very helpful, so here’s a rough guess of what I used – 1 cup chocolate chips and 1/4 cup cream. You can use more or less cream, but the whole point is to have the chocolate soft and pliable even when it cools back down. The key to these cupcakes is the tall paper liners. I found some tall liners at Hobby Lobby, but I’ve also seen them at my local cake and candy supply store. The tall liners keeps the cake from spilling out and allows you to add the ganache once you’ve added the cream filling. Speaking of adding the ganache, I just spooned some onto the cupcakes once they were baked, cooled and filled with cream filling. While the ganache was still warm, I put a little white buttercream frosting into a ziplock bag and cut the corner off and piped the loops right on top. By doing this step before the ganache set, it allowed the cream to sink in a bit and set with the chocolate. I had been wanting to try these for a while, so when my mom asked me to bring cupcakes for my dad’s birthday dinner, I was happy for an excuse to make them.